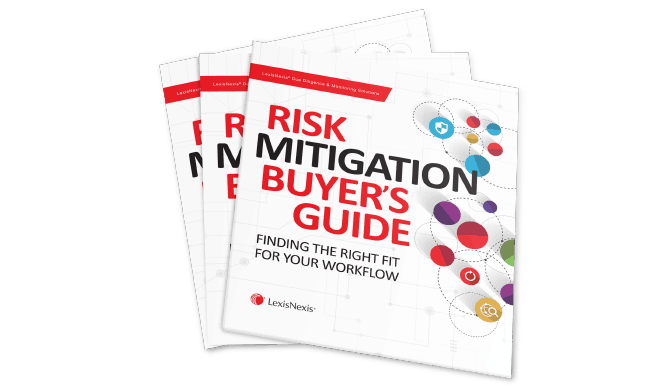 Your company’s exposure to risk is increased by global supply chains, partners, vendors, and other business relationships. 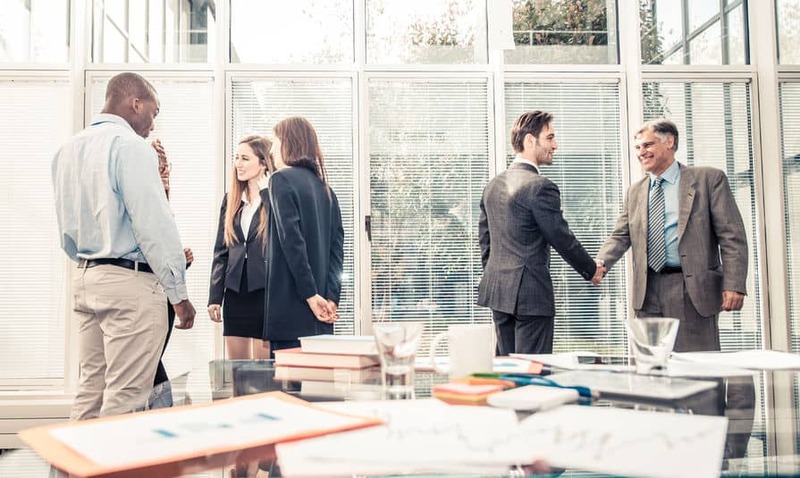 Without insights into who you are dealing with across this complex network of third parties, your company is vulnerable to reputational, regulatory, financial and strategic threats. 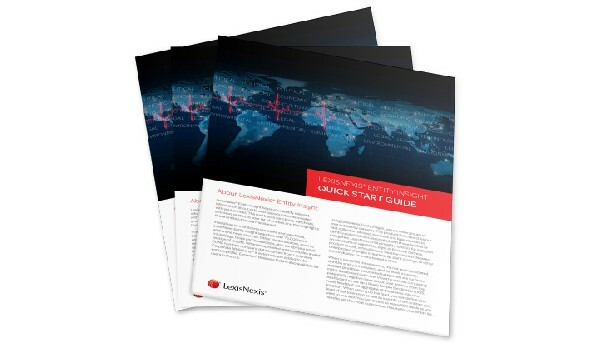 LexisNexis® Entity Insight helps you manage third-party risk—both before and after determining financial stress scores—so you can take action, fast. 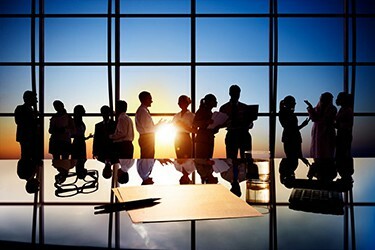 Conduct risk media monitoring against a PESTLE framework (Political, Economic Socio-cultural, Technological, Legal and Environmental) to help identify supply-chain and third-party risk sooner. Arrange a LexisNexis® Entity Insight demo today by completing the form on this page. Stay alert to risk exposure in your supply chain and among critical third parties with a cost-effective, off-the-shelf solution. Optional weight built-in PESTLE scoring to match your risk-management approach—with color coding to drive rapid risk assessment. Tap into a broad range of market intelligence and news sources that are unavailable—or behind multiple paywalls—on the open web. 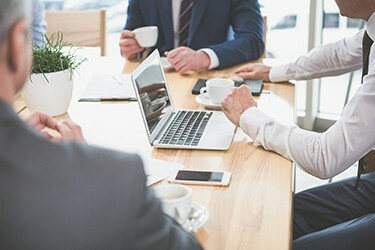 Provide actionable intelligence by integrating risk media monitoring with your Supply Chain Management, CRM and other internal systems via RSS feeds. Our global content collection spans premium news, industry and trade journals, business data, legal and regulatory publications, sanctions, watch lists, black lists and PEPs, allowing you to see the most relevant information for your company’s risk profile. 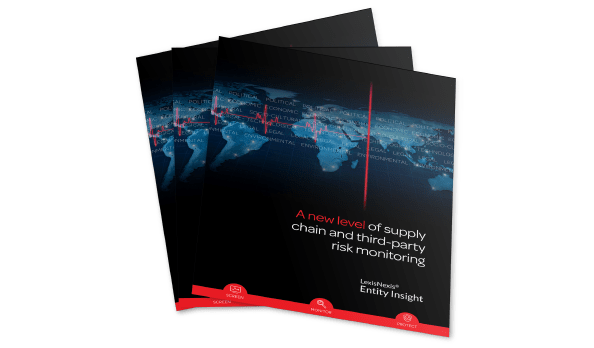 LexisNexis Entity Insight is a supply chain risk management solution designed for procurement, supply chain and compliance professionals. 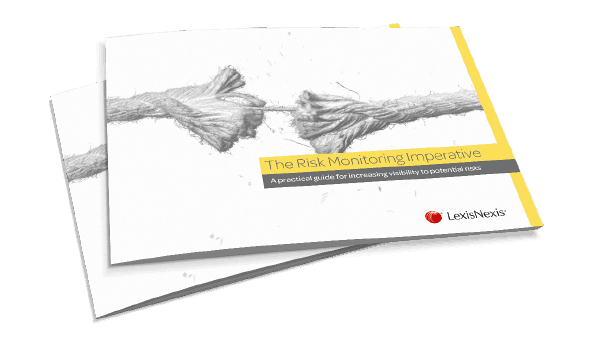 LexisNexis Entity Insight uses the industry standard PESTLE analysis framework to enable you to focus and prioritise your third-party risk management. 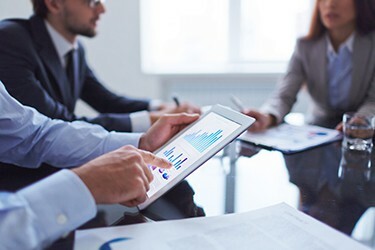 Get fast, efficient, cost-effective risk media monitoring tailored to your business requirements and risk-based approach. Gain access to a vast collection of media from around the world—including news publications, industry and trade journals, legal and regulatory publications, business journals, analytical sources and more. This includes information on private companies beyond what they self-report and information not found via web searches alone. In a fast-changing international market, proactively monitoring supply-chain and third-party risk is vital. 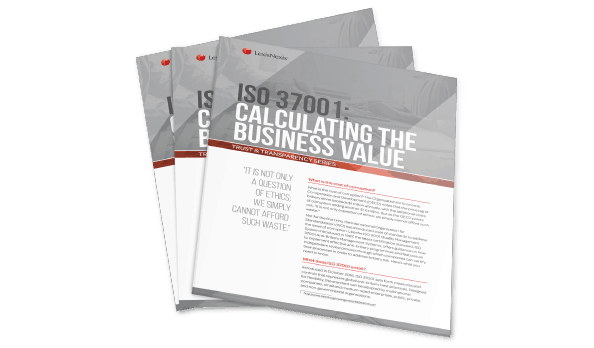 It can help you mitigate key business risks including reputational, regulatory, financial and strategic. It's really opened our eyes to risks in our supply chain. It found that one of our strategic suppliers had filed for bankruptcy, restructured and put a new board in place – and we never knew it! LexisNexis® Entity Insight helps you identify relevant information about risks and opportunities associated with your entities.